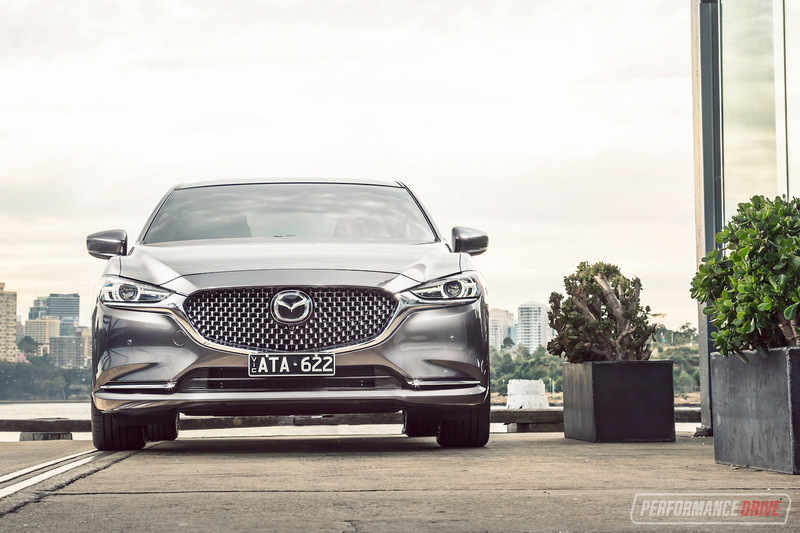 Mature elegance, Mazda calls it. 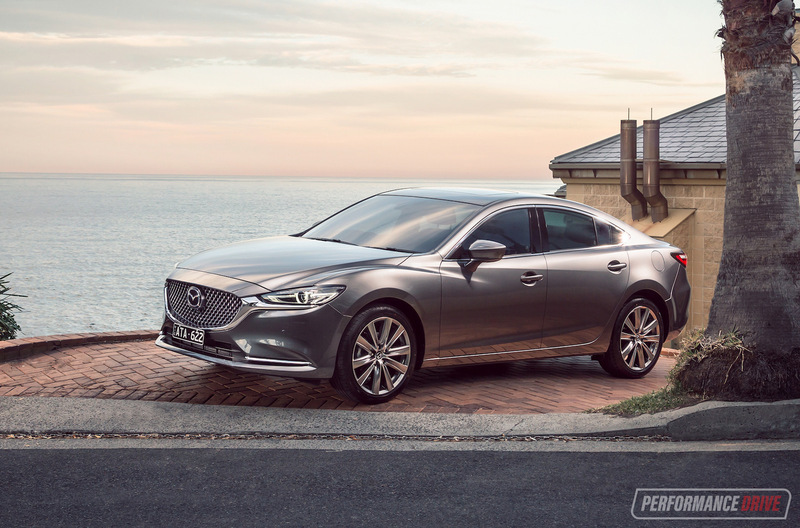 The new theme for the refreshed 2018 Mazda6, which has just launched in Australia. Mature it might be, but it’s also got a juvenile side thanks to a powerful new turbo engine option. 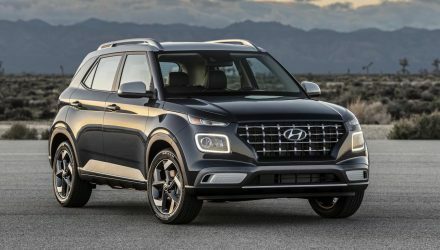 The medium car market segment is dwindling at the moment, with the uprise of the SUV vehicle style seemingly taking over the world. 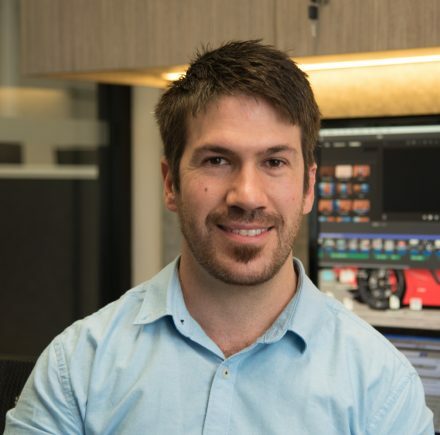 During 2014, around 50,000 vehicles were sold in the medium, below-$60k category in Australia, out of 1.1 million vehicles sold in total. Fast forward to 2017, and just 41,000 vehicles were sold in this class, out of near-1.2 million vehicles sold. As for where the Mazda6 sits, it made up 11.9 per cent segment share and now just 8.5 per cent share, respectively. 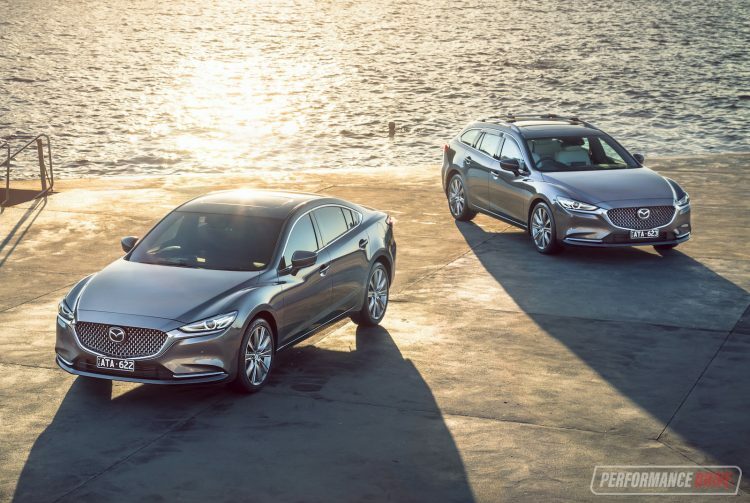 It’s very obvious the sedan market is diminishing, however, there are a few carmakers still pushing on and breaking new ground. 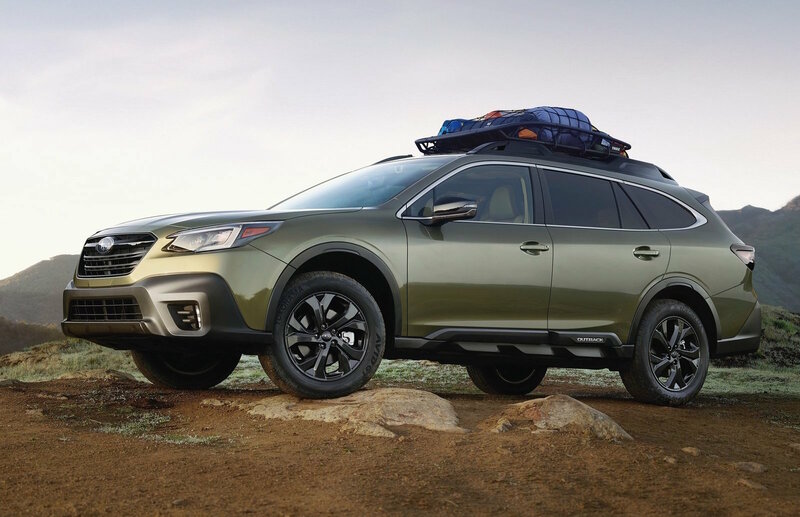 Take a look at this new 6. 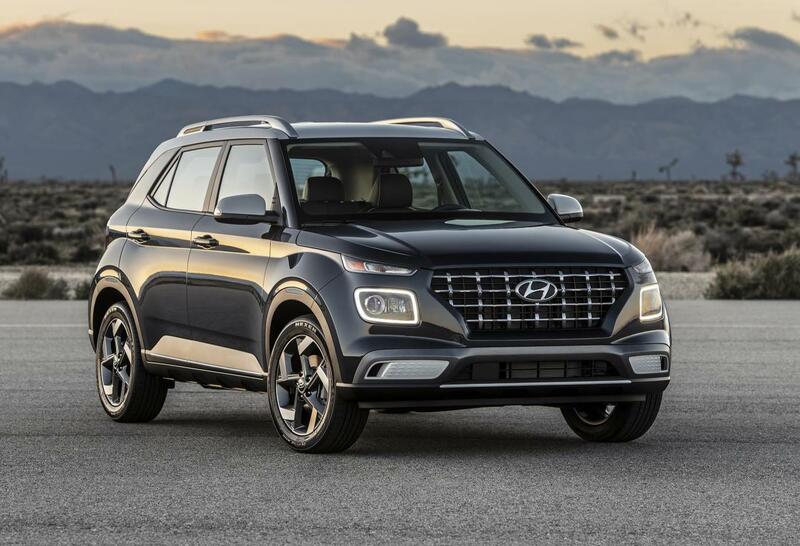 It’s a really nice piece of design, with quality details around the front end, an intricate mesh grille with shiny surfaces helping to provide a deep and three-dimensional face, with an extensive set of standard conveniences and advanced technologies. It definitely has a whiff of European luxury about it and could potentially swipe a few sales from the common premium brands. 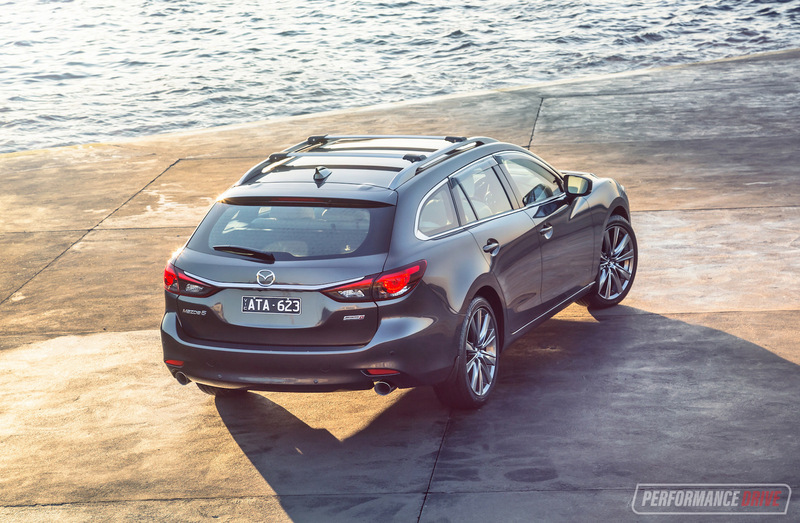 For the new model, Mazda offers four main variant levels spanning from the Sport, Touring, GT, to the flagship Atenza. 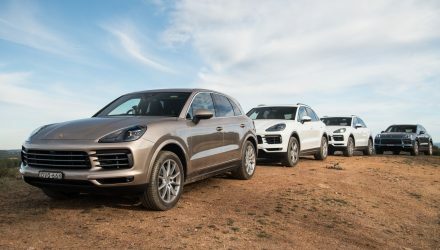 All come equipped with a six-speed automatic with front-wheel drive, with either a 2.5-litre four-cylinder petrol, a 2.2-litre turbo-diesel, or a 2.5-litre turbo-petrol. Both of the existing engines have been tweaked for the updated model, and the turbo is introduced for the first time in the 6. 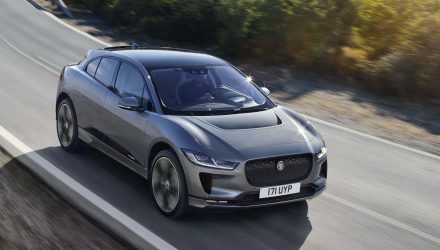 The main torso of the body is carried over from the outgoing model, but everything forward of the bonnet, including the headlights, has been revised. 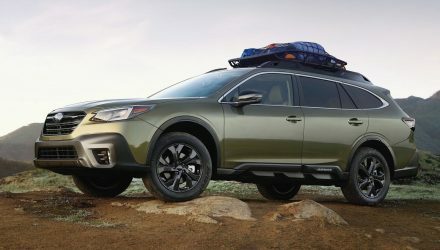 There’s a new-look front bumper bar, deleted fog light bezels (relocated to the headlight cluster), new side mirrors, and a fresh bumper bar at the back with new combination taillights that now feature mostly-red lenses. To coincide with the elegant exterior, Mazda has more than matched up the interior. 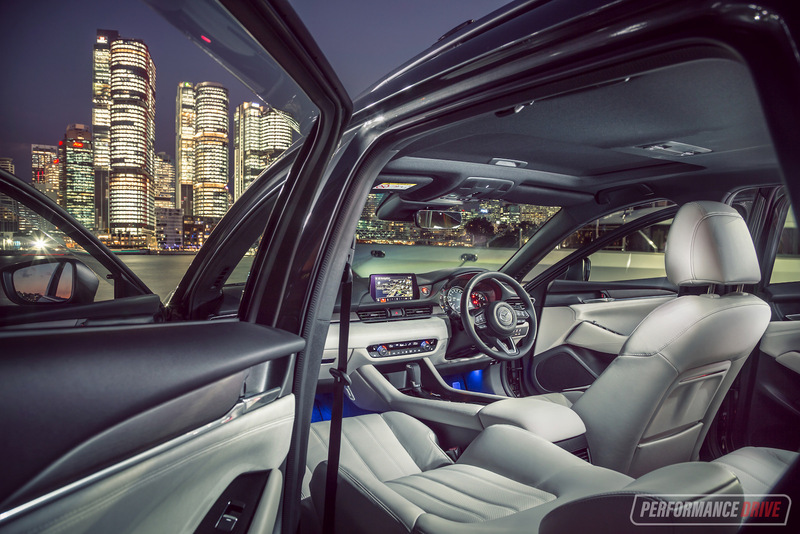 It’s beautiful inside, with hair-line aluminium layered film used to highlight some of the instrument cluster and door trims, while the clean yet suave dash pleasantly cocoons the front passengers. And it’s all simple to navigate and easy to find the controls that you want. 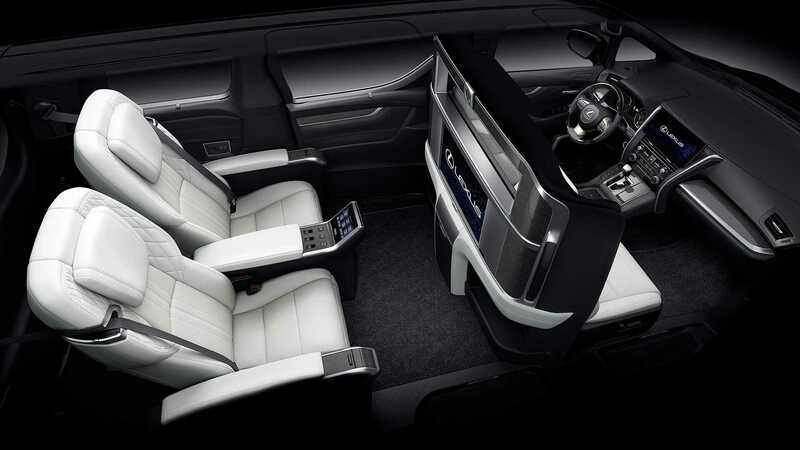 There are a number of different interior themes to choose from as well, including a new Walnut Brown Nappa leather option, as well as black and Pure White, with Japanese Sen timber trimmings available, soft Ultrasuede, and chrome-plated switchgear helping to further spruce up the decor. 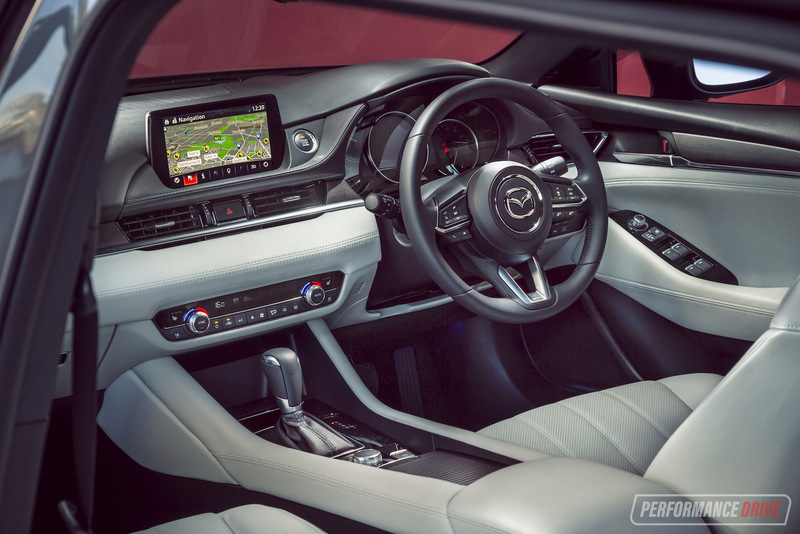 Mazda says this is the highest-quality interior package it has come up with. And we agree. Build quality and fit and finish is at the top of the class. Every button and every knob feels sturdy and important, with a well-positioned centre console and twin cup holders covered by a retractable seal, with a big arm rest providing excellent long-distance comfort. 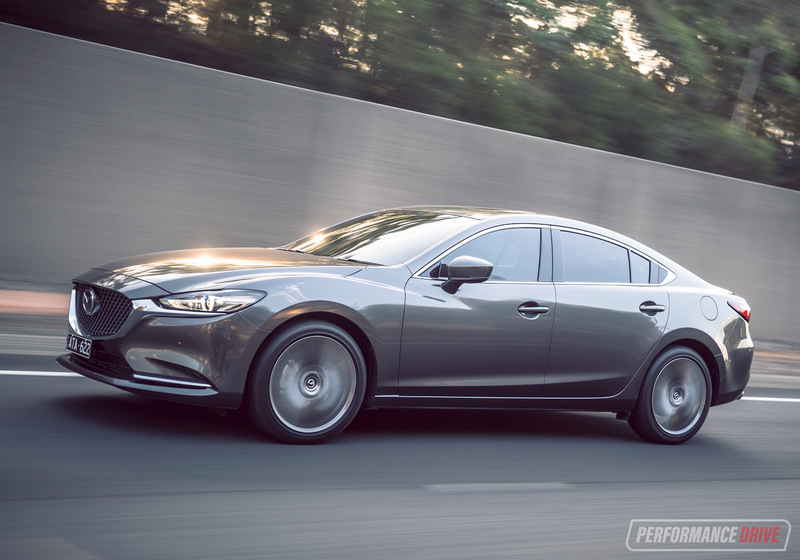 Mazda says it has made various changes to the construction, with increased sound-deadening materials helping to reduce noise, vibration and harshness levels. Out on the road you won’t hear as much as a whisper from the outside, although we did notice very minor wind noise around the side mirror area. The brilliant MZD Connect media system carries over but now with an 8.0-inch screen. This, as always, is a very clever and comprehensive system, offering various in-built apps, configurable vehicle settings, as well as sat-nav and digital radio for all variants. Going for the top three variants also gets you a premium Bose sound system. The biggest news with the new model is of course the introduction of a turbo-petrol engine. You’ll probably recognise the specs from the CX-9. And that’s because it is the same engine, measuring 2.5 litres in capacity and pressurised by a ‘dynamic pressure’ turbo. Using a relatively high compression ratio of 10.5:1, the unit produces 170kW at a low 5000rpm, and 420Nm at 2000rpm. 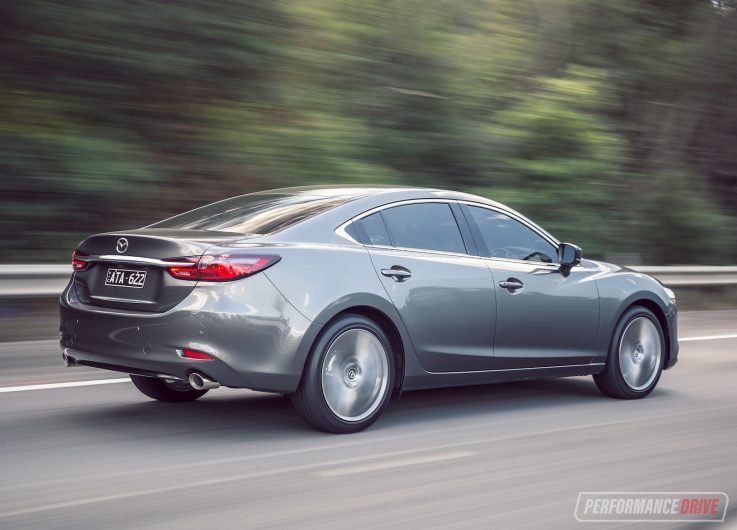 This makes it the most powerful Mazda6 since the MPS version from 2007 (190kW). 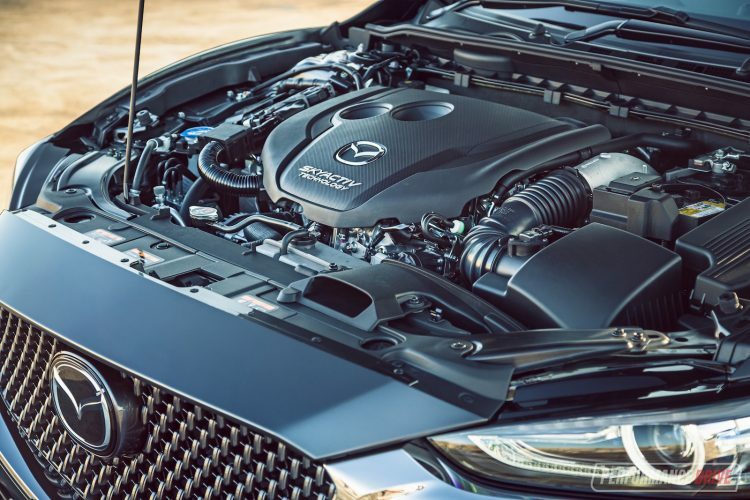 Mazda says the engine actually produces 184kW on 98 RON fuel as well, however, it was mainly tuned with 91 RON resulting in the 170kW figure. 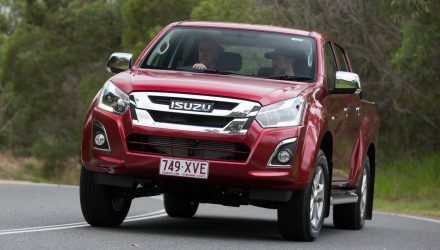 During the official media launch in Melbourne last week, we tested the GT and Atenza models with the new engine. And what can we say, the unit certainly suits the savvy and sophisticated theme of the car perfectly. 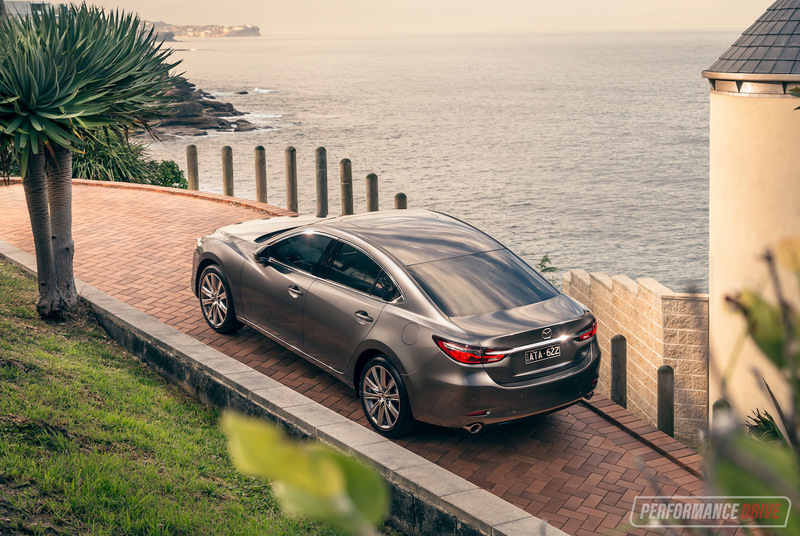 We wouldn’t say this engine transforms the 6 into a performance sedan, but it definitely makes it an effortless one. 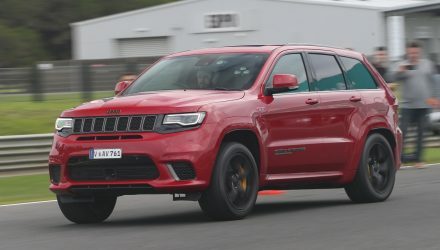 Getting up to highway speeds is no trouble at all, and unlike the 2.5L non-turbo, the turbo unit produces a more subdued hum instead of a coarse roar. 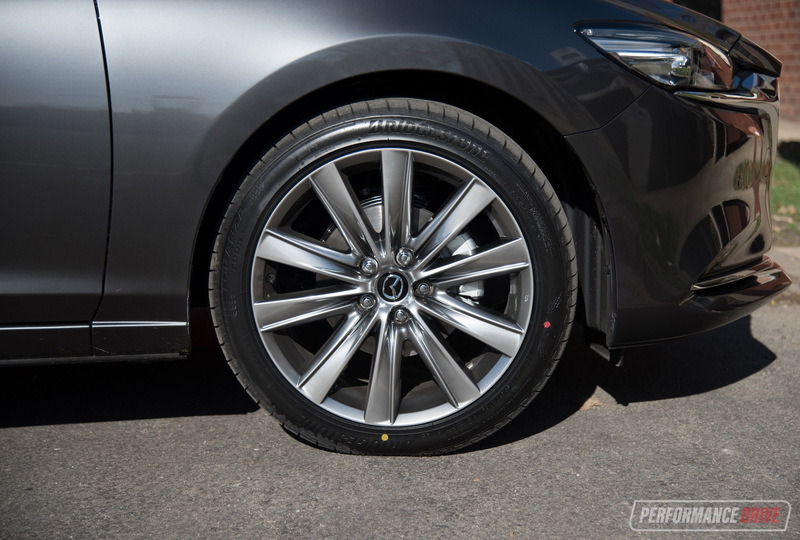 With peak power available at just 5000rpm, it gives you some indication of how effortless it really is. You don’t need to wring its neck to get things moving. 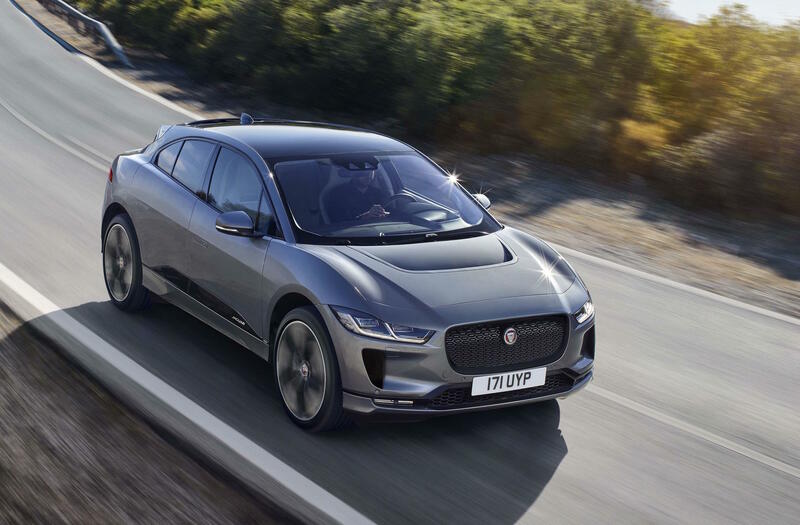 And meshed seamlessly with a well-sorted six-speed automatic, each ratio is dispatched with no hesitation, with long legs to surge you up to your desired speed. We didn’t get a chance to test the 0-100km/h but we will be putting together our usual video and testing as soon as we can. 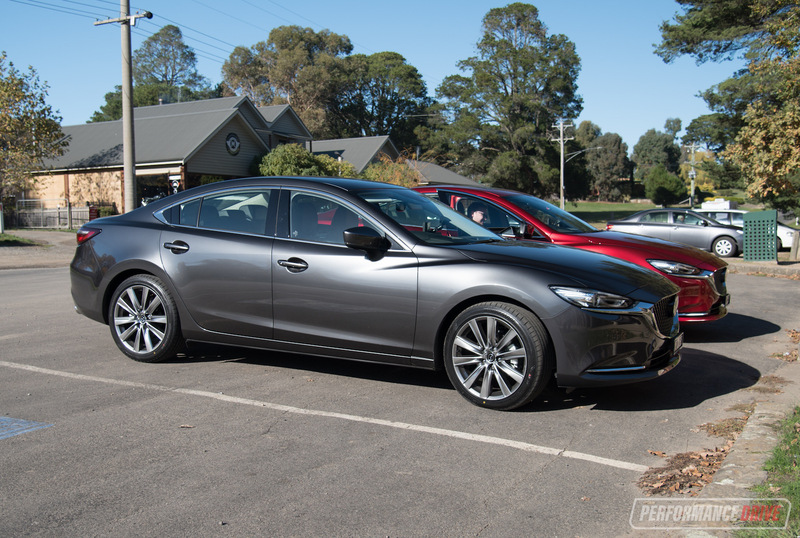 Alternatively, Mazda has also fit its recently retuned 2.2-litre turbo-diesel into the 6. As we saw in the updated CX-5, the unit now produces 140kW and a strong 450Nm, up from 129kW and 420Nm. 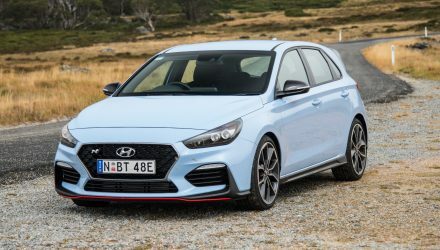 At the entry level end, for the Sport and Touring, the existing 2.5-litre non-turbo is also enhanced and now develops 140kW and 252Nm (up from 138kW/250Nm). 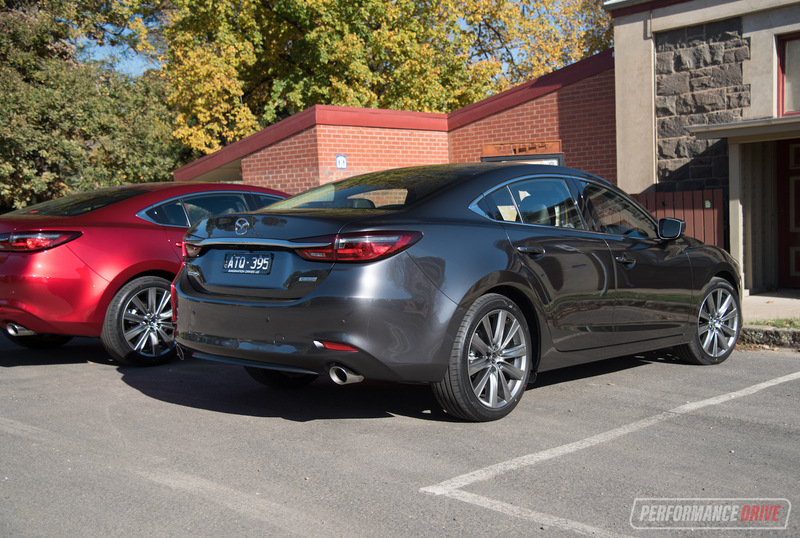 Mazda says the engine is quieter and more refined than the outgoing version. 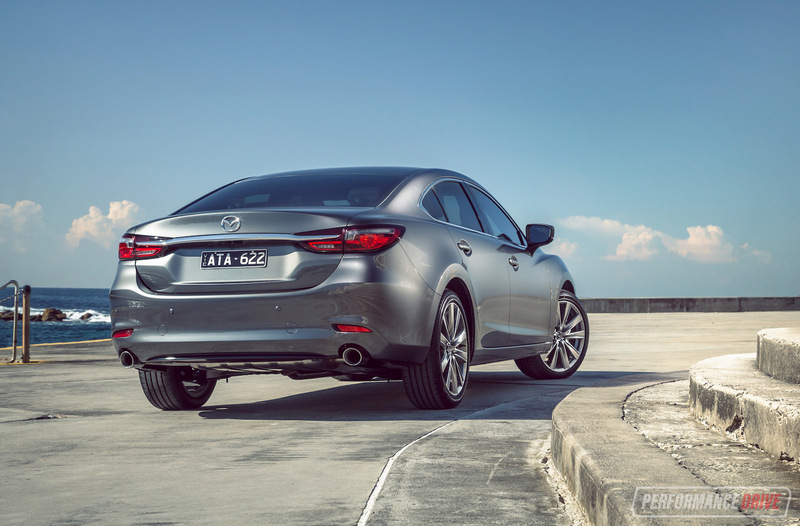 With this update, Mazda is ensuring it remains a strong contender in the segment. 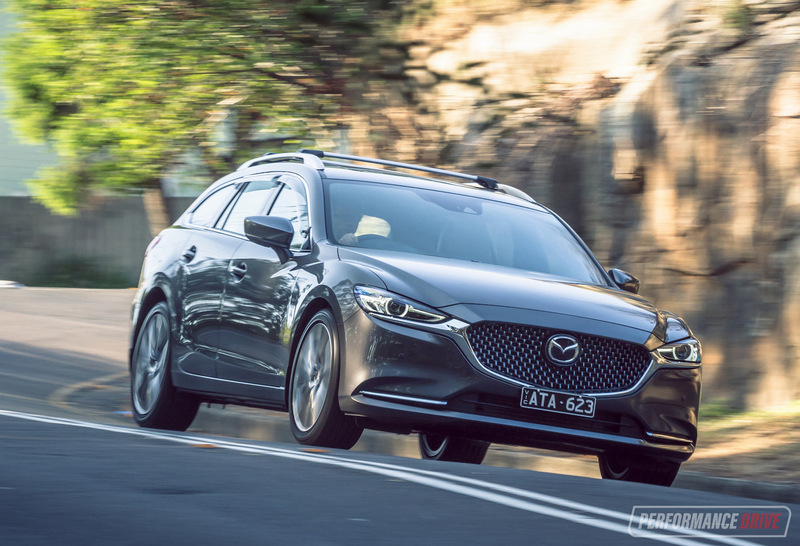 Even if the segment is slowly fading, the Mazda6 firmly has its place as a more elegant, sportier-handling alternative to the Toyota Camry and Subaru Liberty. 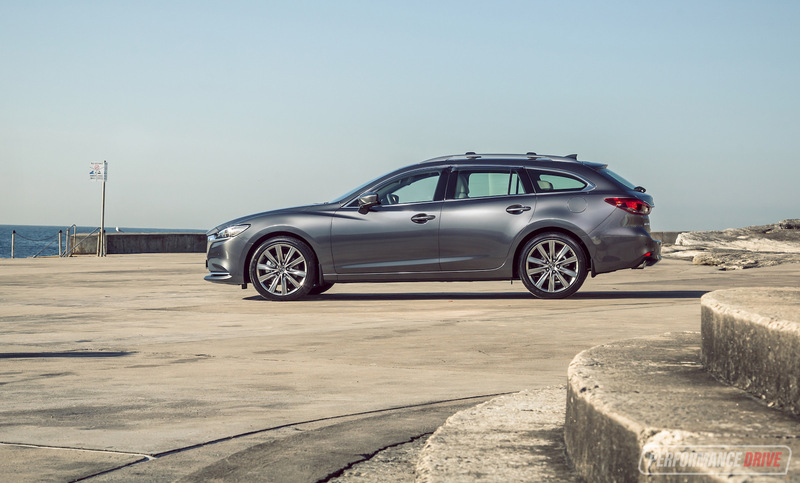 And now with improved refinement, a genuinely luxurious interior, and the smooth and effortless power of the turbo option, we think the Mazda6 has earned entry into the premium market. Especially in Atenza form.